Kick-off meeting January 20th 2012 Biofilm-related infections in orthopedic and trauma surgery. International collaborative projects ahead – December 13th-14th, 2013 Milano Biofilm Meeting 2015 Implantables and Infection Control: a Promising Future? A NOVEL APPROACH TO IMPLANT-RELATED INFECTIONS IN ORTHOPAEDICS AND TRAUMA SURGERY. With a share of 38%, orthopaedic and traumatology (O&T) are the worldwide leading markets of implanted biomaterials, involving millions of new patients each year at an increasing trend. Infection related to implanted medical devices is directly related to bacterial capability to establish multilayered, highly structured biofilms on artificial surfaces. Bacterial infections due to implanted biomaterials represent the most devastating complication in O&T, involving millions of European citizens. Aim of the present research is to develop, validate and bring to the market a disposable coating of implanted biomaterial (Implant Disposable Antibacterial Coating, I.D.A.C.). 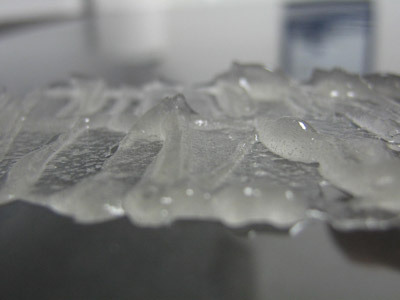 The device, based on a novel, proprietary, resorbable hydrogel, would act as a fast resorbable local delivery carrier of antibiofilm and antibacterial compounds. The active drug (antibiofilm and antibiotic agents) will be mixed at the time of the hydrogel application during surgery, allowing the correct choice for any given patient, reducing costs and improving storage life and versatility of use. In particular, I.D.A.C. will be tested as a resorbable carrier of drugs (e.g. : N-acetylcisteine and its derivatives, serratia peptidase and other peptides, etc.) already known from our studies for having excellent antibiofilm properties, while others are able to by-pass the intact biofilm barrier and kill the underlying bacteria, when locally administered. The final purpose of the present research is to set a novel approach to early control of biofilm formation, to prevent bacterial colonization of implanted material and to treat established implant-related infections and chronic wounds, without any risk of inducing new drug resistance and alter the environment. The research will be conducted under the aegis of the European Bone and Joint Infection Society and the European Hip Society, through a network of upper standard European research and clinical centers and experienced SMEs from seven Countries around Europe. Novelty, versatility, ease-of-use, efficacy, safety and reduced costs are the key-factors for the success of the present idea: aim of the present collaborative research project is to provide enough data to support them.